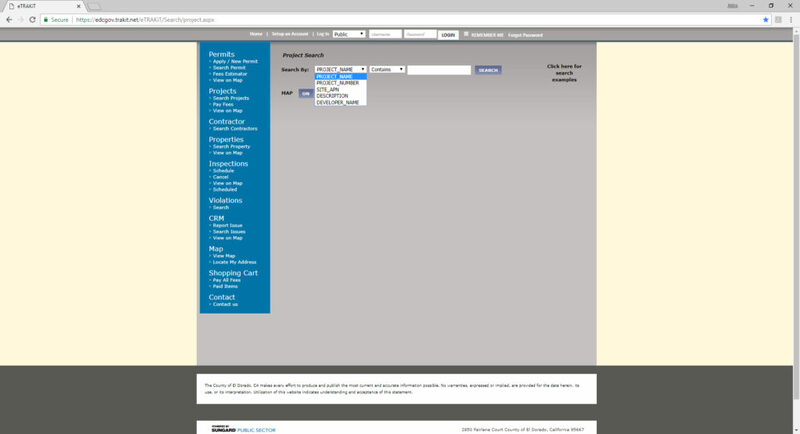 It is possible to generate a search result list, if the user enters the beginning of a document number – such as PD (planned development), TM (tentative subdivision map) , Z (zoning), etc. But this will generate results from all areas of the County. 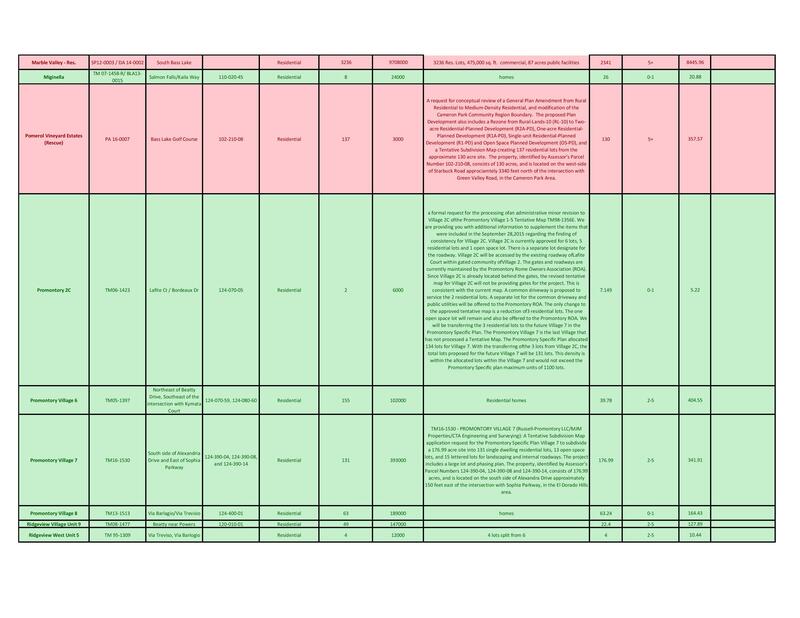 AIM Consulting has released a summary of the results from public comments generated at the May 17, 2018 Community open house for the El Dorado County Line Multi-Modal Transit Center Study, sponsored by the El Dorado County Transportation Commission and El Dorado Transit. This study is envisioned to find a replacement for the existing El Dorado Transit Park and Ride facility at White Rock Rd and Post St in Town Center (behind the Big O Tires store). The current facility is maxed out (167 parking spaces). The concept is to provide a more capable facility, to handle more parking spaces and to provide additional services to draw more commute riders into El Dorado Transit Commuter buses into Sacramento and Folsom, and to get more cars off of HWY50. The focus is for transportation between El Dorado Hills & Sacramento County. Options are being explored to make the facility more ‘walkable’ and ‘bikeable’ as well as amenities like electric charging stations for hybrid and full electric vehicles, access for school buses from school districts, bike lockers, a rideshare drop off lane (Uber/Lyft) and other potential concepts like shops and a cafe. Potential for parking El Dorado Transit vehicles on site is also desired. Potential sites for the new facility have been located in and around White Rock Rd and Latrobe Rd – the facility needs to be near HWY50 to minimize the time spent getting on and off the highway. 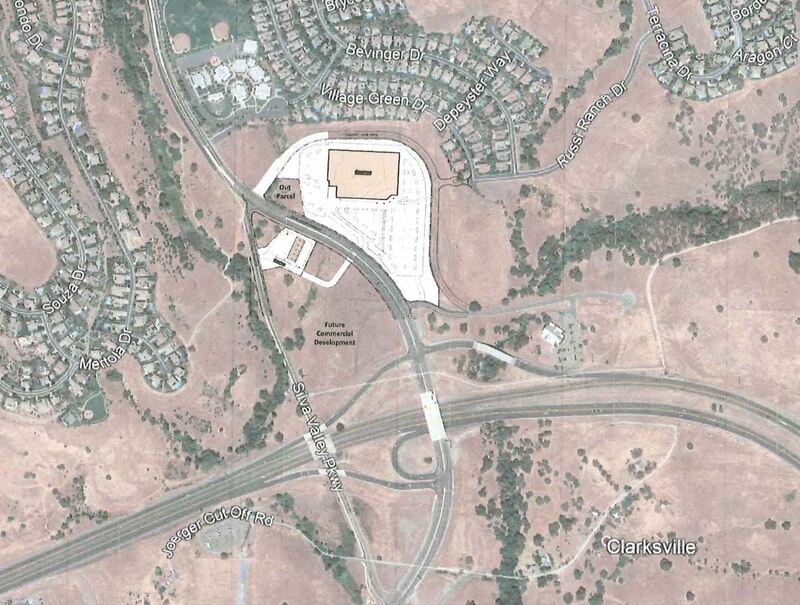 Over the summer, the project team will develop a plan for the new El Dorado Hills transit center. In the fall, the project team will host a second public workshop to explore proposed transit center options. The project team will present a recommended plan to the public and the EDCTC Board at the end of the year. 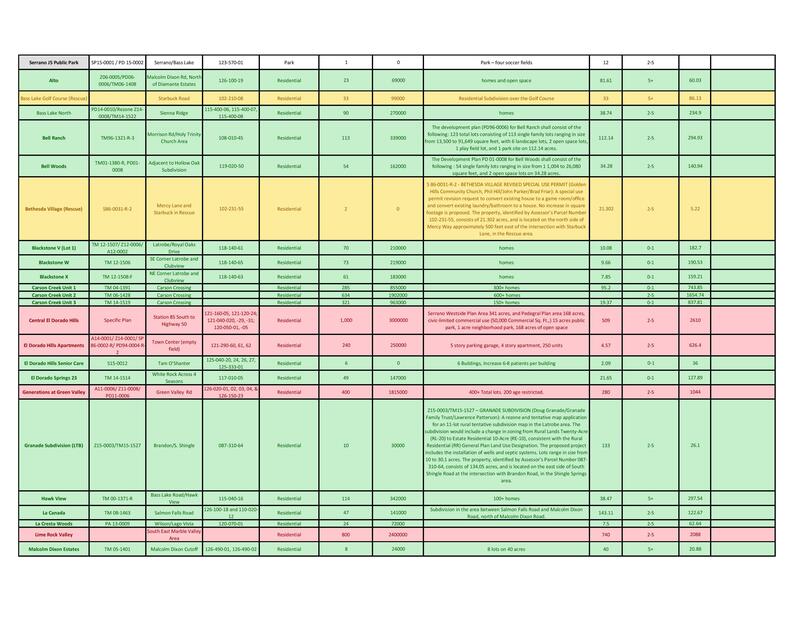 The full study summary is here in PDF Format. 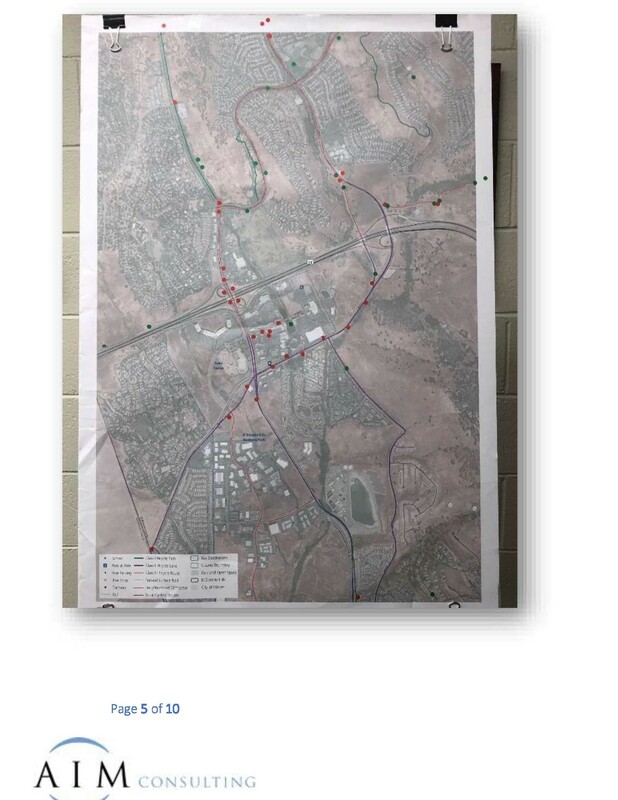 At the January 18, 2018 El Dorado Hills County Water District (EDH Fire Department) Board of Directors meeting, El Dorado Hills Fire Department’s Fire Marshal, Marshall Cox, provided a comprehensive list of current and proposed development projects in El Dorado Hills, and the immediate surrounding communities where the EDH Fire Department provides service, for the Board’s review. 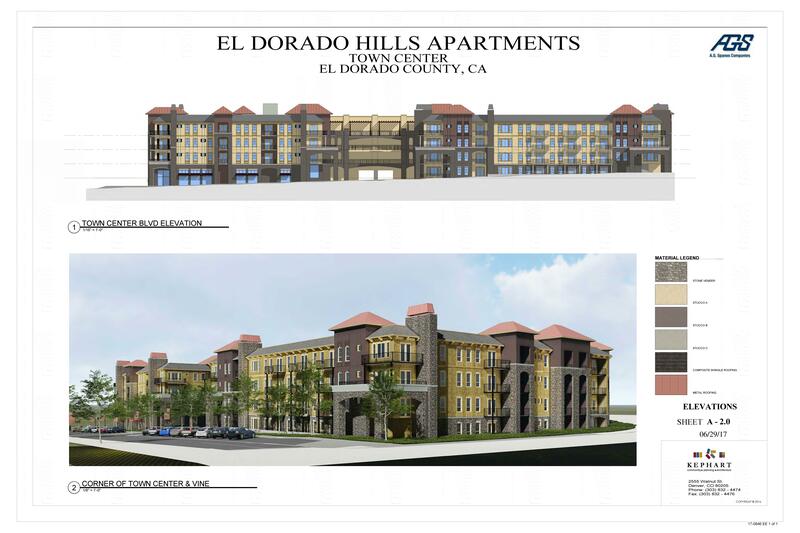 Many residents are not aware that every project proposed in El Dorado Hills is reviewed by the El Dorado Hills Fire Department prior to moving through the approvals process. The Fire Department ensures that all projects are in compliance with fire codes – things like road widths, and building access and heights – to make sure that new projects can be served by EDH FD equipment, and that adequate water supply and fire hydrants are available to serve the project, and the project area, as well as many other criteria. 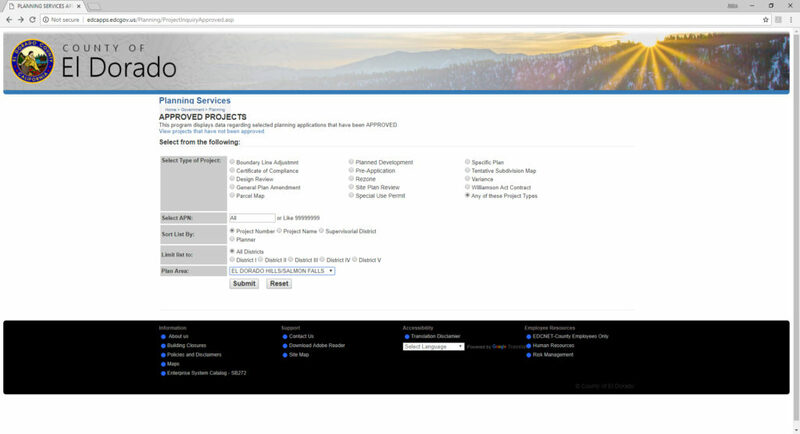 The EDH FD doesn’t make recommendations about projects like the County Planning Services Dept, the Planning Commission, or the County Board of Supervisors (should it be built, should it be modified, is it an appropriate land use, is zoning correct, etc), they simply make sure that a project is in compliance with the fire code, and that the EDH FD has the resources to provide service to the project. 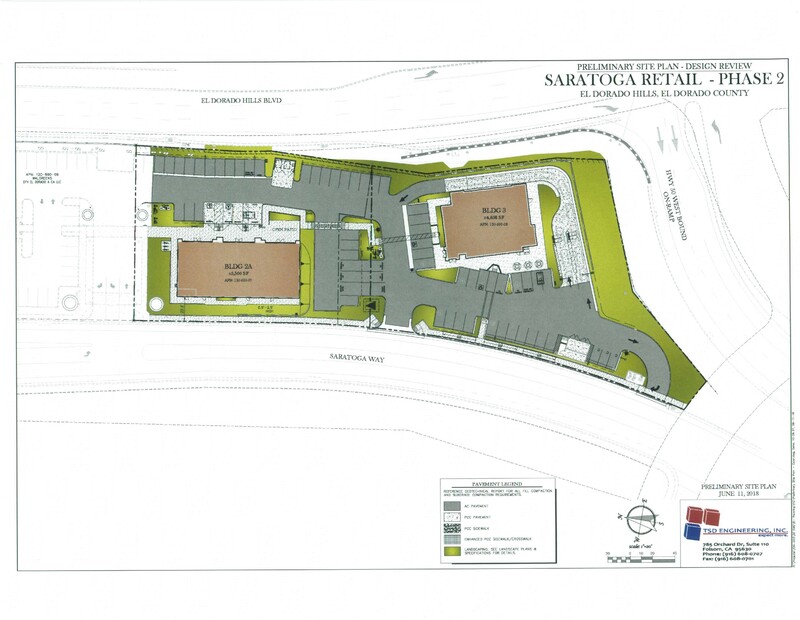 There are many projects on the list that residents my not be aware of, some new, as well as some that may have been forgotten (there are several older projects on the list), such as the Hampton Inn & Suites/Serrano on Saratoga and Arrowhead (which is now known as Sartoga Commercial), or “Town Center ACE Hardware” which currently has no available public information. Additionally, the EDH Fire Department does not monitor road improvement plans, like the new Country Club Dr realignment to Bass Lake Rd, so there are no road projects on the list. 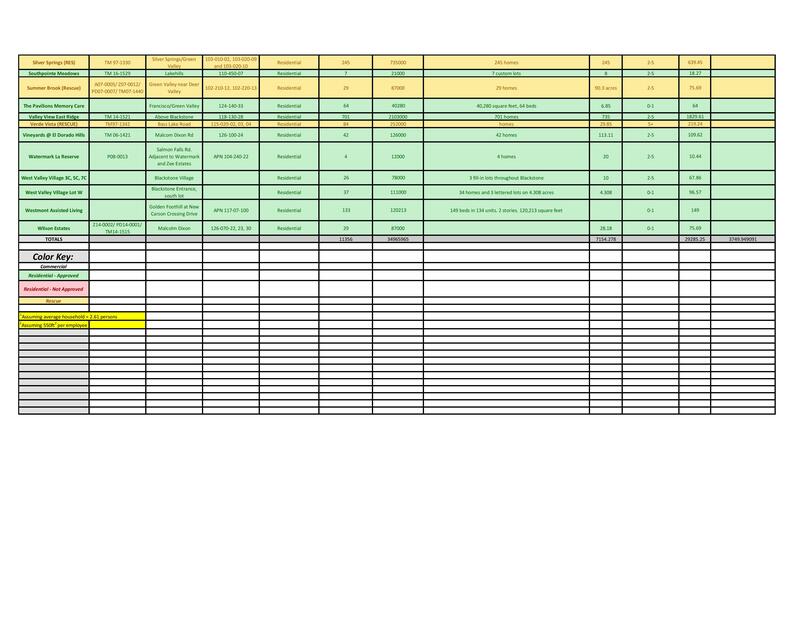 With all of these document locations, finding all the available information for any particular project can be overwhelming. EDH FD Fire Marshal, Marshall Cox was kind enough to provide EDH APAC with an updated copy of the EDH FD New Development Report. 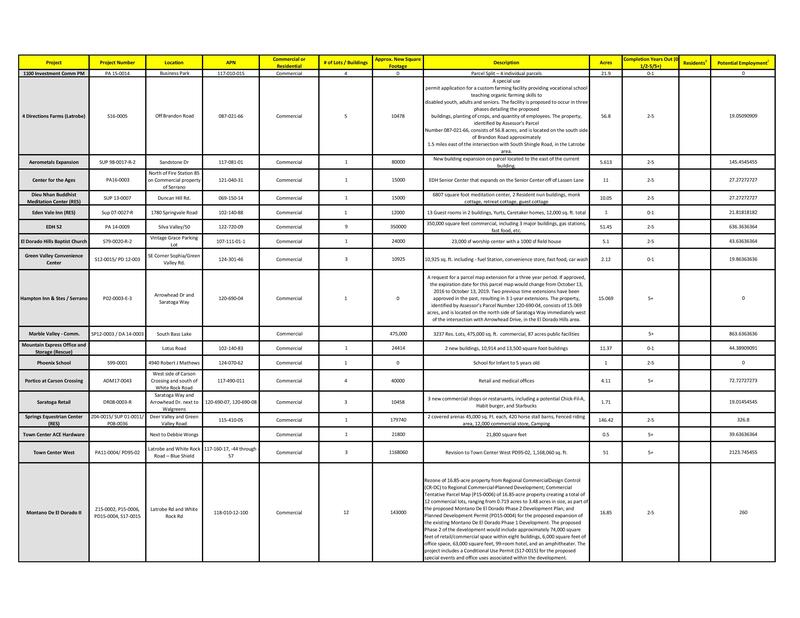 APAC volunteers would like to thank Fire Marshal Cox, as well as the EDH Fire Department, for sharing this list, and for their commitment to helping to keep existing and new projects in El Dorado Hills as safe as possible. 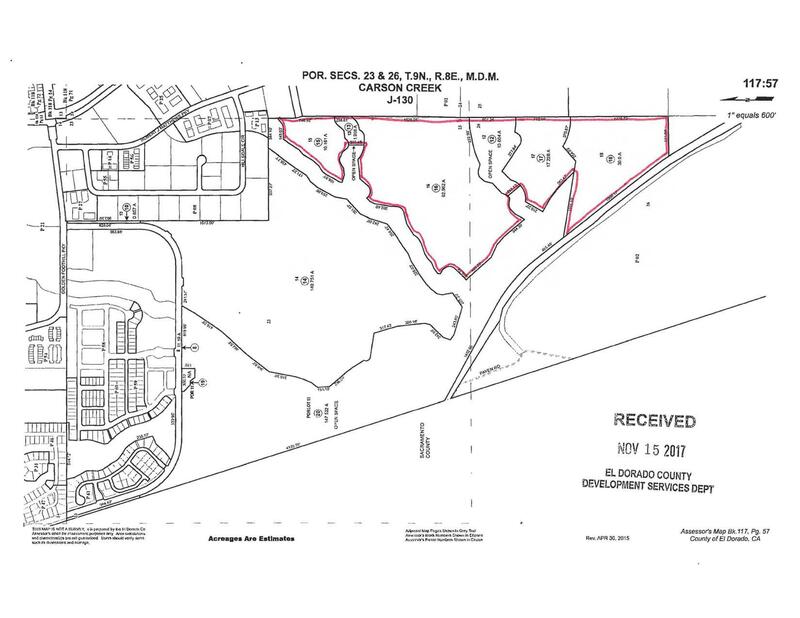 The Carson Creek Specific Plan (SP94-02) was approved on March 4, 1997 with a Development Agreement. The Specific Plan is encompassed within 71O acres of land generally located west of the El Dorado Hills Business Park and south of Golden Foothills Parkway. 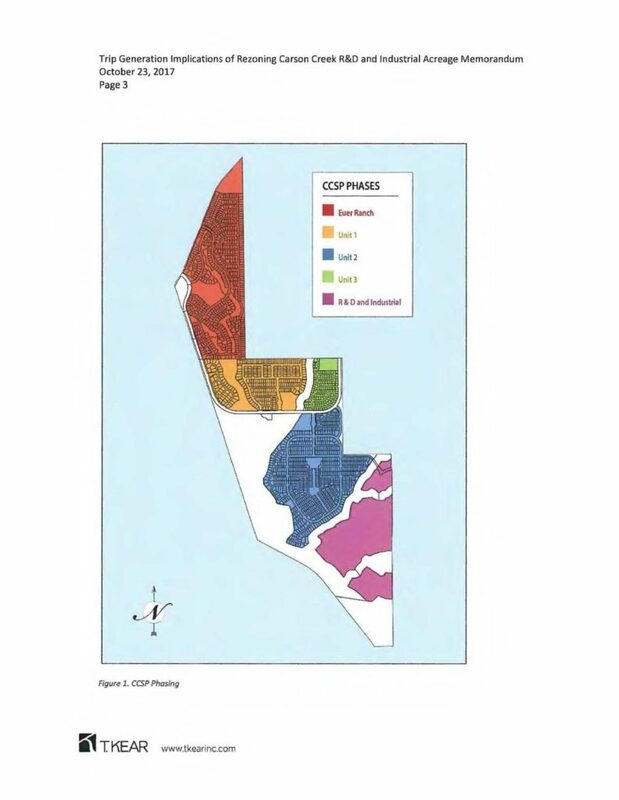 On September 27, 1999, the Board of Supervisors approved Amendments to the Specific Plan that includes a maximum of 1,700 Age-Restricted Residential Units (ARUs) and a Development Agreement. Exhibit B (land Use Plan) included 34.4 acres of R&D and 59.7 acres of Industrial. The actual resultant acreages are currently 33.3± acres and 57 .0± acres respectively after Lennar Homes of Northern California, Inc. obtained a permit from the ACOE SPK-1992-00105 (the permit). 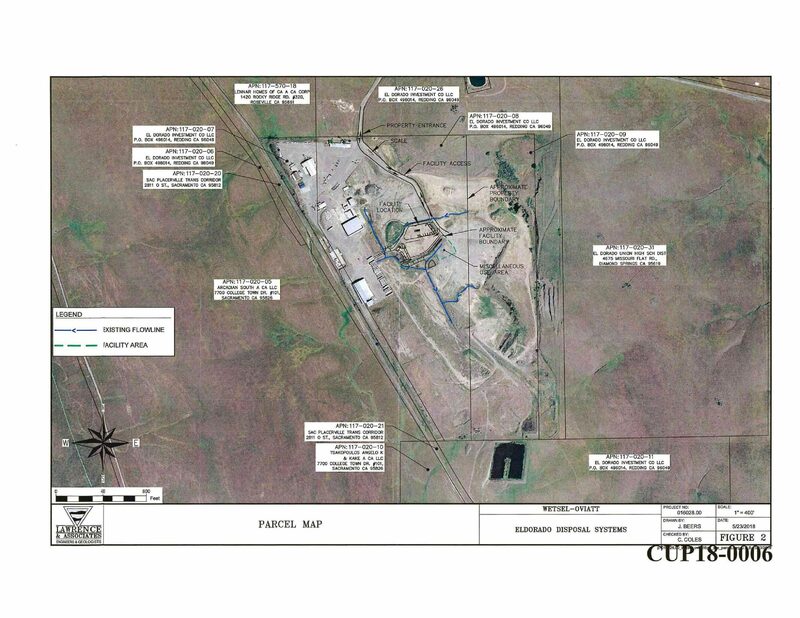 The permit conditions nominally expanded the Open Space and reduced the R&D and Industrial acreage as shown. 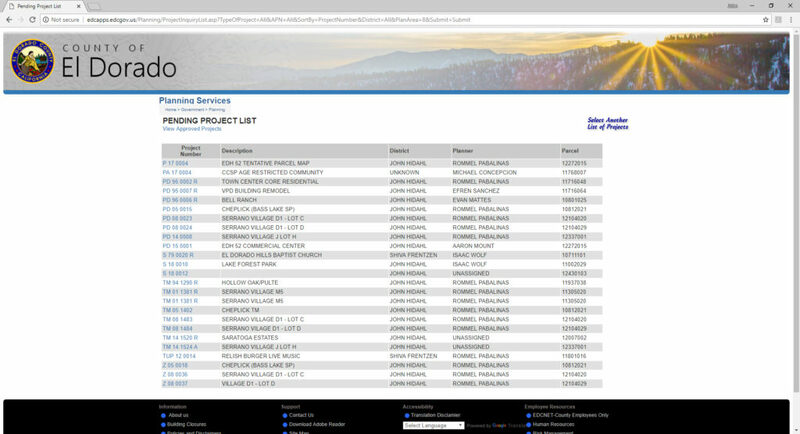 Subsequent project approvals included the Euer Ranch 460 ARU~_(TM96-1317 and TM04-1389), Carson Creek Unit 1 285 ARUs (TM04-1391R), Carson Creek Unit 2, 630 ARUs 111 (TM06-1428R), and Carson Creek Unit 3 140 AR Us (TM14-1519). The ARU sum total is 1,515 ARUs. 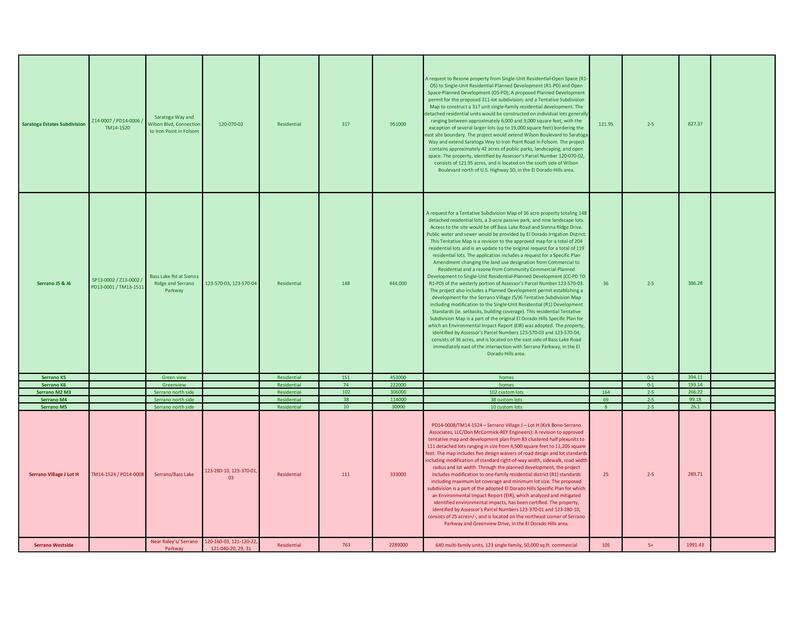 The total number of potential remaining allowable ARUs under the current approvals is 185 ARUs notwithstanding the “Accompanying Consideration” enumerated below. None of the R&D or Industrial has been developed to date. 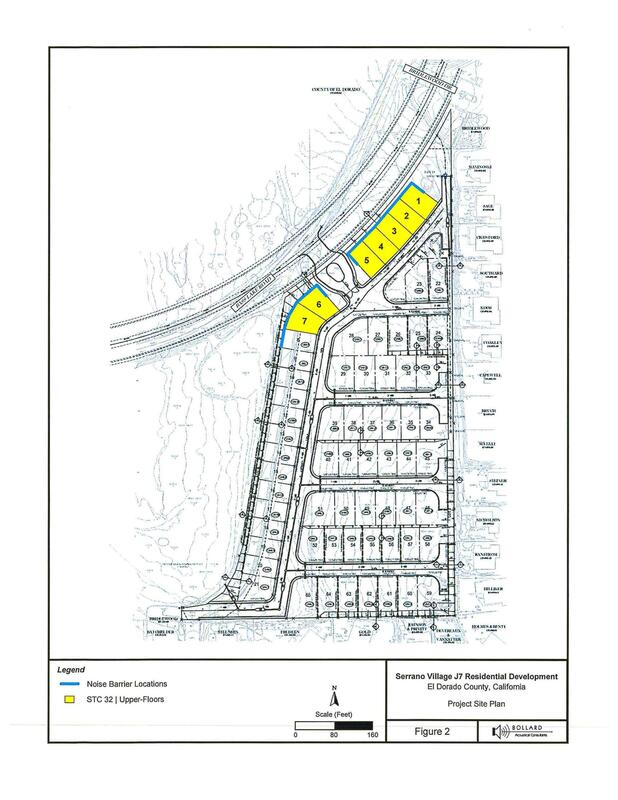 The proposed project would be an Age-Restricted Community and would have two accesses on to Latrobe Road; full time access on to Investment Boulevard and secondary access through the DST property on a new roadway that will intersect with the Latrobe Road. The new roadway will provide access to the 30 acre park site in addition to the proposed age-restricted community. The project would include 415 Age-Restricted Units (AR Us), a 3.1 ± acre Community Center, and 1.7± acres of Local Convenience Commercial. 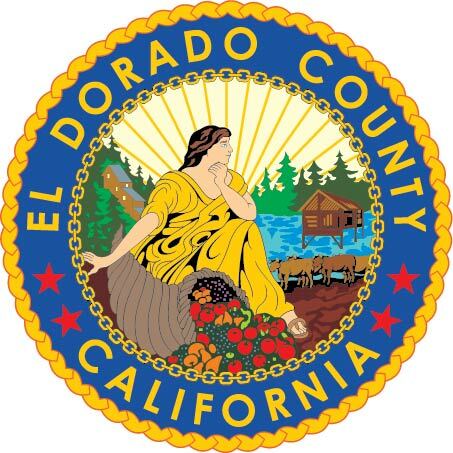 It would be served by the El Dorado Irrigation District. Onsite roads are gated and privately maintained not withstanding a short extension of Investment Blvd; this is to be publicly maintained. The 30 acre Regional Park and related policy remains unchanged notwithstanding conditions of the ACOE SPK-1992-00105 (the permit}. 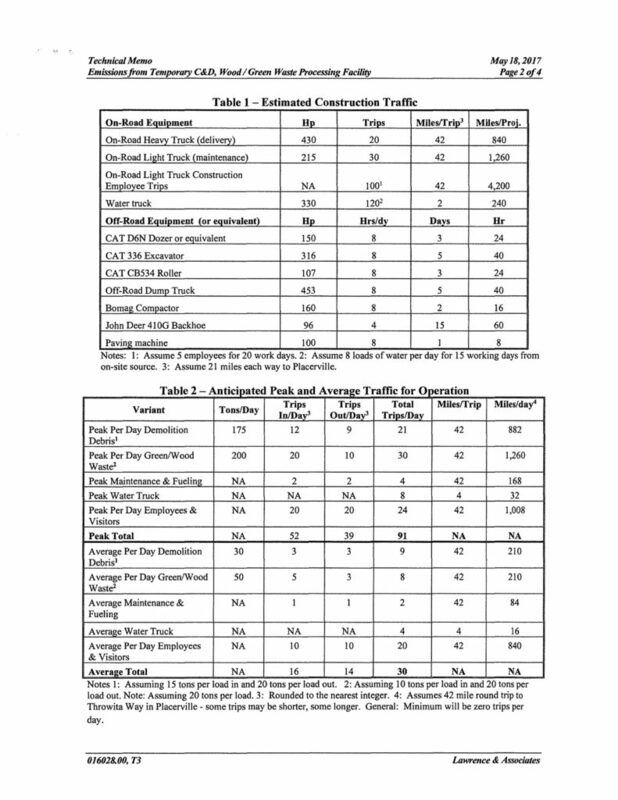 Based on the Carson Creek development pattern and high demand that has occurred over the past 14 years coupled with a demonstrated lack of demand for RD and I uses a Specific Plan amendment request is warranted.